If there were any doubt about the direction in which the government of Israel is headed, another clear marker emerged in the overheated air of a Knesset committee room on Monday. On the table was a bill proposed by Yisrael Beiteinu (Israel Is Our Home), the right-wing party headed by Foreign Minister Avigdor Lieberman. The measure called for stripping the citizenship of any Israeli convicted of espionage, but the only Israelis under discussion were the country's Arab minority. The move follows a loyalty oath that Lieberman would make a condition for acquiring citizenship; calls for bans on Jews from renting property to Arabs; and street demonstrations demanding prohibitions on dating between Arab boys and Jewish girls. Did the espionage measure have merit? The debate could have been more illuminating. "You're a fascist, " a lawmaker from a leading Arab party told the sponsor. "You're a big traitor, not a small one," the sponsor shot back. "You support spies." There was, however, expert advice from Israel's internal security service. Shin Bet, the shadowy domestic intelligence body charged with keeping the public safe from terrorism, delicately informed the lawmakers that it had no use for their sledgehammer. "Too broad and lacking in balancing mechanisms," the agency said of the bill. When even the secret police suggest that a measure goes too far, elected panels might find occasion for pause. Not the Knesset's Internal Security Committee, which passed the bill before midday, tucking one more brick into the wall of controversial legislation that the right-wing government of Prime Minister Benjamin Netanyahu has been constructing since last fall. Just last week, the coalition prompted cries of McCarthyism when it moved to crack down on Israeli human-rights organizations deemed suspicious by a government that increasingly equates dissent with disloyalty. 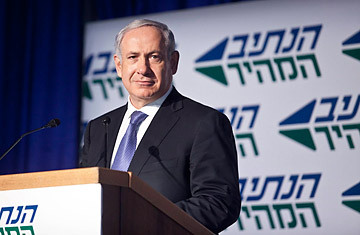 Taking a page from neighboring authoritarian states, Netanyahu encouraged support for the law, appointing a panel to investigate independent organizations that are critical of government actions. These include Breaking the Silence, a group of former Israeli soldiers that has published a book of testimonies detailing human-rights abuses, which the former soldiers say they witnessed while serving in the West Bank; the rights group B'Tselem, which documents abuses by settlers and security forces in the West Bank; Gisha, which monitors the plight of Palestinians caught between Hamas and Israeli collective punishment in the Gaza Strip; and Physicians for Human Rights Israel, which recently reported in gruesome detail the plight of African economic immigrants, who are commonly referred to "infiltrators." The measure passed by a more than 2-to-1 margin, prompting a stunned response from quarters both expected and not. Outside the government, a group of leading intellectuals issued a letter declaring that the bill's supporters "will be remembered as being the ones who attempted to smash what is left of democracy in Israel and impose a fascist regime." Even inside Netanyahu's coalition, minister without portfolio Benny Begin, the arch-conservative son of Menachim Begin, told Israeli Radio that the measure broke from the conservatism he knew: "This decision sends a warning signal  here is darkness." Ron Pundak, a historian who runs the Peres Center for Peace, sees the current atmosphere of Israeli politics as the ugliest in the nation's history. "It's totally abnormal," he says. "From my point of view, this is reminiscent of the dark ages of different places in the world in the 1930s. Maybe not Germany, but Italy, maybe Argentina later. I fear we are reaching a slippery slope, if we are not already there." Many analysts attribute the new public emphasis on "loyalty" to the ascendancy of Lieberman, whose support base of immigrants from former Soviet countries is more likely than "veteran" Israelis to openly call Arabs their enemy. The Foreign Minister has openly advocated getting rid of much of Israel's Arab minority by drawing the borders of a Palestinian state to include their towns. Lieberman's hostility to Arabs finds support in the leadership of Shas, the ultra-Orthodox religious party equally crucial to Netanyahu's coalition. But the confrontational posturing of leaders like Lieberman slides along grooves worn deeply into the Israeli mind-set. By calling the Turkish government "liars" last month, the Foreign Minister may have helped scotch a carefully brokered rapprochement over last year's flotilla fiasco, in which nine Turks died at the hands of Israeli commandos. But self-righteous indignation is a staple position for an Israeli public whose default assumption is that Israel is always the injured party. Pollsters point out that, thanks to the vagaries of coalition politics in a proportional-representation parliamentary system that exaggerates the influence of minority parties, Israel's government is more extreme than the citizenry that elected it. But Netanyahu has shown no sign of reining in those elements of his support base that draw the most critical international attention. On Sunday, bulldozers demolished an old hotel in the Sheikh Jarrah section of Jerusalem, making way for a Jewish housing development in an Arab neighborhood. U.S. Secretary of State Hillary Clinton called it a "disturbing" development in a city Jews and Palestinians would be expected to share in any peace settlement. "The genie is still small enough to put back in the bottle," says Pundak, the historian. "But there's nobody to do it." For a response to this story from the office of Israel's Prime Minister, Benjamin Netanyahu, click here.